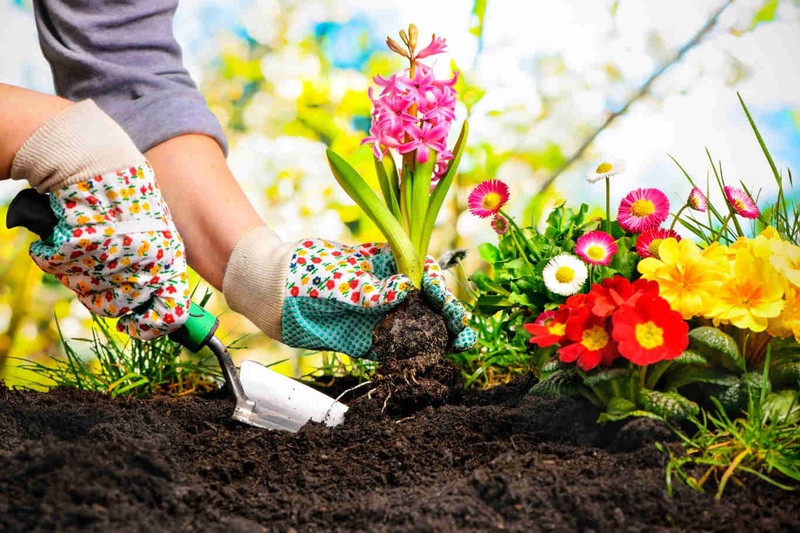 Spring is coming, which means it is almost prime time for gardening. Whether you are a novice gardener or an old pro, there are a few critical actions to take when you set out to design a garden. Read on for six steps for designing your garden–and get started stat! Like so many things in life, with gardens, location is everything. Determine where you want your garden to be. There are a few important considerations to keep in mind. If you want a landscaped garden around your home, you will have to take into account the shadow cast by the house, drainage, and other logistical issues. If you want a vegetable and herb garden, you will need a place that receives full sunlight for most of the day but especially in the morning. These days, drawing out an aerial perspective isn’t difficult. Use some of the tools technology has given us, like Google Earth, to make an aerial image of your property or the specific part of your property where your garden will go. You don’t have to be a skilled artist to do this: you need a printer and some tracing paper. It doesn’t have to be perfect, either. You just want a visual reference of your site. Walk around your future garden site, make observations, and take notes. Note where the shadows fall during the day, which direction prevailing winds come from, and where water drains during heavy rains. Using your site drawing and some tracing paper (or multiple copies of the drawing), note these conditions on your map where they occur. This may sound difficult, but it really isn’t. The easiest way to make a scale drawing is to find the edge of a wall, measure it, and then decide on a unit to represent each foot. A good scale for design is ¼ inch to a foot. That would make a fifty-foot length just over twelve inches in your drawing. Again, it does not have to be perfect. Finally, the fun begins! Make a list of all the plants you want, and if you’re not sure, visit a local gardening center and see what types of plants are available. There are also numerous online gardening guides to ornamental plants, or you can visit a local campus or botanical garden for inspiration. Make sure you select for species that will thrive in your hardiness zone. Garden designers everywhere love this step: it’s the reward for all your hard work. Using your scale drawing and your notes on site conditions, create a design for planting. Have fun with colors, heights, and textures, but bear in mind which plants can tolerate shade and sun to ensure their success. Draw in your plants to the dimension they will be when mature so you can make sure they aren’t overcrowded. And voila– you now have a solid design for a successful garden. If these six steps for designing your garden seem like a little too much work, or you aren’t sure how to put them in action, don’t hesitate to ask a landscape professional for help. It may seem like a lot of work, but that work will pay off when your garden is the envy of the neighborhood.